My shocking conversation with Governor Nikki Haley supporters who reveal not only do they mind that Nikki Haley supports Domestic abusers rights to carrying guns but that they believed pedophiles had the right to carry guns. There are countless stories of those harming children and yet there are those out their willing to giving them a gun. The discussion has gotten beyond the realm of those wanting to use guns to protect themselves and into giving guns to those we know who would do harm. Let me not forget while Nikki Haley supports domestic abusers carrying guns South Carolina prosecutors are saying those of domestic abuse can’t use stand your ground laws. South Carolina ranks at the top for men killing men women? Data over a decade ago show that some of the same counties with high domestic abuse are some of the same counties in recent data reports with a high number of domestic abuse cases, so Governor Nikki Haley can’t claim there was a sudden DECREASE in domestic cases in these surrounding counties. In fact there has been an increase for some of these areas; and yet Governor Nikki Haley has given 50% less in fewer funds; while giving more to other organizatins for other areas of counties who show significantly less, by thousands in fewer cases for domestic abuse. 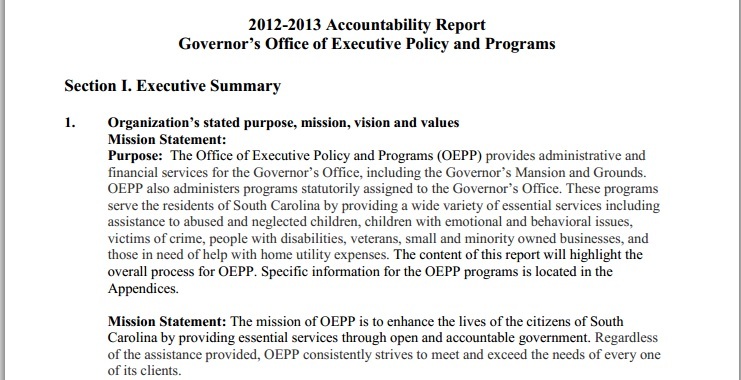 Apparently Governor Nikki Haley and her office didn’t read any reports, because if they did or if they truly cared I think the last areas you would decrease funding would be in areas with a high number of domestic abuse cases. Just like other programs for African-Americans, the poor; Nikki Haley has eliminated programs, juggle around funding or has either put a very, very smaller cap on funds. And if you see one of the governor’s latest proposal then you don’t have to wonder why a stated funded university such as Clemson has on their website asking for donations to fund their student’s tuition. In 2013 the New York Times reported a 72% increase from 2011-12 from 2007 with students being diagnosed with autism, Asperger syndrome, or a related developmental disorder development disorders. In 2012 the Atlantic wrote an article titled “Why So Many Babies Are Still Being Born With Down Syndrome.” I think clearly the title recognizes a need for more help, but that need for help doesn’t appear to be something Governor Nikki Haley has recognized. This program has been so much a success that there has been an increase in the number of students entering into the gifted program in South Carolina. That increase of students entering into such advanced programs also means the need for more money; however the funding for this program has not increased with the number of students entering into the program and now Governor Nikki Haley plans are to eliminate that program so that she can fund private and home bound schooling. If public schools were a business, Governor Nikki Haley would have been offering them bond incentives to expand rather than eliminating such program. Since Mark Sanford left the Governor’s Office, Governor Nikki Haley has gutted the Medicaid services for the poor and the youngest of society year after year non-stop. In the mean time she has benefited herself and her campaign donors.